We are having many events and etc etc, we should have a place to talk our crap about the rates and etc etc. 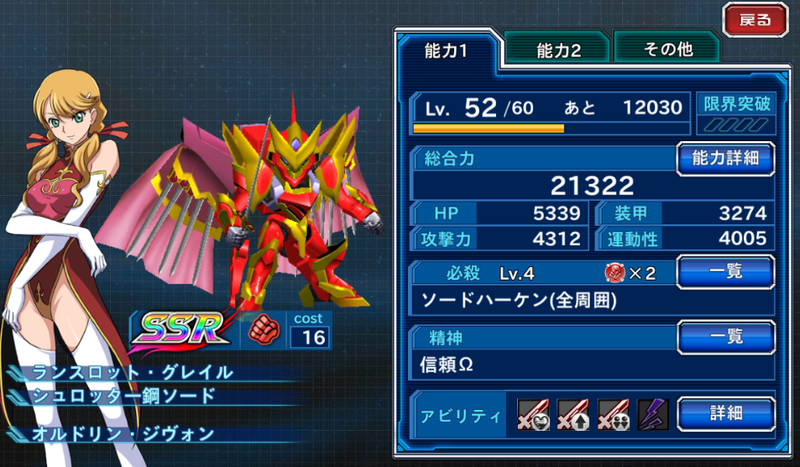 Welcome Cross-Omega is the first Android/IOS game of SRW, despise being a phone game, it have a interesting system and even a story(not too great but they're trying to improve), Cross-Omega its not a very money hungry game you can beat all the content out with what the game gives you for free, so if you want to begin don't be afraid. - install QooAPP on you card, download the game, install the game, and after download all the archives it takes somewhat 30 minutes. - the game will offer you a tutorial, its pretty good and if its your first time do the tutorial battle, X-Omega battle system somewhat require that you react to things fast, don't worry if you can't position your units well on the beginning you will get better. if you don't like you first unit you can always reroll by reinstalling the game,don't select too much its troublesome. save for the mission summons(you waste 5 crystals and get 5 crystals back), evade single rolls, expand your inventory box to at least 70 on the beginning, do not sell all your UN and R units because they're not SR and SSR's, on the beginning you need those units and some of them have a lot of utility like Rei Eva 00 and Tauburn. Multi rolls have a better change to get you a SSR because 9 units are taken from the regular pool and one only for the SR and SSR pool. never do summons outside some event summon that grants you something for the effort, like a bonus unit,support character or even a big rate up on some high tier units. remember to do the daily if you have time for it. Event free units are great, because you have to actually work to get them, try to do all the events if you can. The archaeologist apprentice Inui Asahi(red hair boy) that its fascinated by science fiction and join the exploration on mars on the team "Alpha Omega", there he finds on some ruins the mysterious machine Van Ein and alongside the genius (rly they say that she is a genius) Shatte Jude Westendorf(blonde girl, yes Shatte is not Japanese) they try to discover its secrets but not before they are attacked by a mysterious party and ended up being saved by Celestial Being on the run, and get involved in a lot of trouble. before the tier, please have in mind that all the SSR units are good, even the worst of them its good enough for be competitive,sure some of them needs more love than others, the tier bellow its not the game tier, its just for reroll purposes, and for that reason it only contain the units that you can acquire on you first roll, i'm working on a tier divided by class but that will take sometime. also please take in mind that i don't share the Dangeki view of SSR teams with highcost, this tier is taking into consideration that you won't build a team of 5 SSR units until very far onto the game, so lets go to it. I've been replaying all the challenge stages since they also reset the rewards for just the Chapter 1 missions. I also learned the hard way that the new gacha step system resets the next day. Got to step 3 and was going wait until the next day to get to step 4, but I saw the gacha go back to step 1 and I died inside. They fixed the Gacha screen - now it loads faster, it's not a huge pain to view your gacha tickets, and it's even easier to scroll through. Good deal. As as side effect, the chip exchange got moved to the general menu. I am noticing some of the new Attackers units (and some old ones) on the gacha pages have some sort of sword clash icon. Wiki doesn't seem to mention it yet at this time, any idea what that is? I think they are the units with the special event ability. to help a little with the events here is the summary of what you will need. for the first step you use a single omega crystal on a single, them after 5 omega crystals on 2 singles, and now 25 omega on 6 summons but with a 2x more chance of getting a SSR unit (i got mine here), and stooped using it since i'm F2P, there also, 30 cristals on 7 summons with 3x more chance and finally 50 with 6x more. but pay attention the countdown reset everyday, so if you plan to get more than one copy of some unit there you will have to farm first 111, crystals them use them. on the event Banagher,Haman,Rhide and Mrs.Bushido do more damage on the enemies, the prize for the event its Marida Cruz and her Kshatriya. 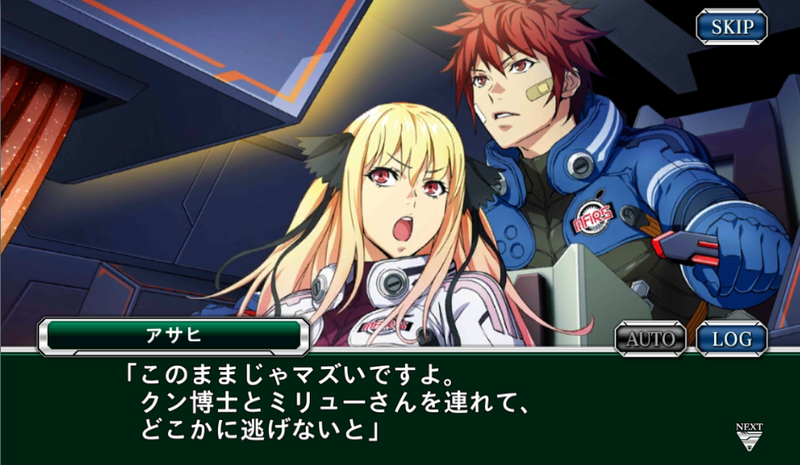 now on to some inputs of things that we lost, the Akito event was quite bad, they inserted the Code Geass Oz characters on the main plot of the chapter 1, and since Alexander its marked as "Alexander (Akito)" it probably mean that the other units will arrive at some point, anyway i tried to get Suzaku and of course failed lol. Lancelot Grail its not a too great of a unit but its better than the attacker Lancelot, this is one of the few units that the player can acquire that can apply that annoying stun effect on the enemies and despite not having the bigger status on its favor the hisatsu its quit good for those battles when there's enemies all around you, and you need a "red alert button to explode things" as you can probably see by its skills this thing die fast like all the others Geass units. Soooo... I'm not the only one wasting 16 OMG Crystals on the Step Up Gacha and very surprised (pissed too) to see today that the THING RESETS. I got a question. That challenge chapter 1, stage 1. It says I need to keep my units under SR, right? Friends count? Because I can't clear that condition and nobody in my friend list has a unit lower than SR.
Should we have a dedicated thread for XOMG Friend codes? Also, a thread for beginners who wants to start the game? I have several tips in mind. - Units under SR only a single SR allowed (i used units of all rarities minus SSR and a single SR and cleared it) i don't believe that your friend unit make a difference here its rare for people to set anything bellow SR, i keep the story units because well... its the story units. we can just share the friend codes here i don't believe we need a lot of threads to this game.